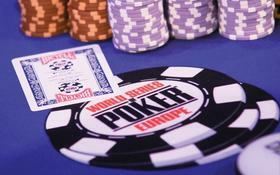 The 2010 World Series of Poker Europe has seen some good turnouts like in Event #1 which exceeded its cap by 40 players, and some not so great turnouts like Event #2 that saw a substantial decline in attendance from last year. Amazingly, the £10,000 buy-in No Limit Holdem heads-Up tournament attracted a staggering number of participants: 103! And amongst those 103 players were some of the biggest names in poker like Phil Ivey, Daniel Negreanu, Huck Seed, Vanessa Rousso, Tom ‘durrrr’ Dwan, Ilari ‘Ziigmund’ Sahamies and on and on. This entry was posted on Thursday, September 23rd, 2010 at 7:59 am and is filed under Poker News. You can follow any responses to this entry through the RSS 2.0 feed. You can leave a response, or trackback from your own site.